I've tried a couple Facebook games and found them . . . absolutely tedious, pointless, just a time-killer (like many puzzles--and I don't like puzzles at all). But these aren't even challenging puzzles, they're much too easy. The impression I get from reading about such games is that they are pure time-wasters, with the added aspect of trying to persuade the player to recruit friends to be additional players, and to spend money. Many have that aspect I DESPISE in games, that you can spend money and gain advantages (just like CCGs, which I also despise as a player, though I have to admire the clever "racket"). Is this what games have come to, ways to kill time, and so boring that you spend real money to get ahead faster? Mindless... On the other hand, millions of people play them. But they're not the kind of games I want to design, for sure. 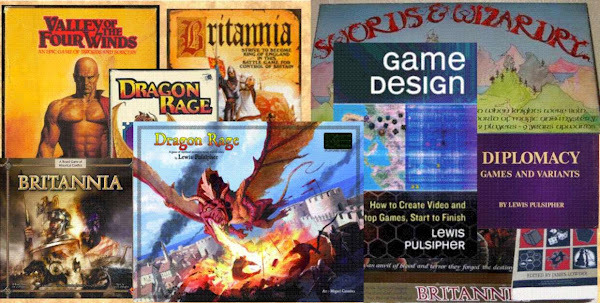 One I played was Dragon Wars (I'm writing from memory of playing a couple months ago). There appears to be no way to lose, you choose quests that you know you can win. The "recruit your friends" angle is strong. On the other hand there isn't the obvious "spend money" angle. I also tried Crazy Planets (again, a while ago, I think I'm recalling the title correctly). This game involved a little skill, as you had to judge what angle to shoot or throw to kill the enemy, but it was Very Simple. And Very Tedious. Perhaps more playing would have revealed more depth, though it seems unlikely. You could accumulate points to get better weapons, or (IIRC) you could buy them with real money. What a waste. I am not an addictive type of personality, maybe you need to be to enjoy these games? Many board games of the past included an "opponent loses turn" card. I have learned recently that many people strongly dislike a "lose turn" card or any other mechanism that causes them to lose a turn. Gamers today often "hate" to lose a turn, and are less likely to play a game with that possibility. Why? 30 years ago "lose turn" was regarded as part of the competition of a game, just another way to achieve a goal. Today many people have grown up with video games where they're constantly active, and strongly dislike not being able to do anything. In some cases, one of their primary motivations for playing the game is to DO something, and when they lose a turn they cannot do anything. Further, games are entertainment, for most people. People today are much less likely to accept frustration as part of their entertainment than they were 30 years ago. "Instant gratification" and "convenience" and the "Easy Button" have changed expectations. People are likely to quit any activity they find temporarily frustrating. When people are focused on being active and not on winning and losing (you can't lose a traditional one-player video game), it's a different experience entirely. They're not so concerned with succeeding, they're concerned with DOING something (passing the time). Similarly we have a dislike of "down time" in board and card games, even though, for the more cerebrally inclined, that "down time" gives players opportunity to *think*. Because so many modern games don't require deep thought, players don't use the time to think the way people would have 30 years ago. My guess is that intuition (which doesn't take much time) is more often used in all walks of life today; certainly, when a person isn't doing their job, they're more inclined to rely on intuition than logic.